Little Gretel Restaurant established 2009 in Boerne, TX by Executive Chef Denise Mazal and daughter, Veronica Mazal Brown. A restaurant of central European delights. Historically, geographically and culturally our restaurant blends the cuisine from Germany, Austria, Hungary and the Czech Republic- most of what is referred to as “German” food. Best Czech/German/Central European Food in the Texas Hill Country. Czech Kolache flavors range from different fruit and toppings. 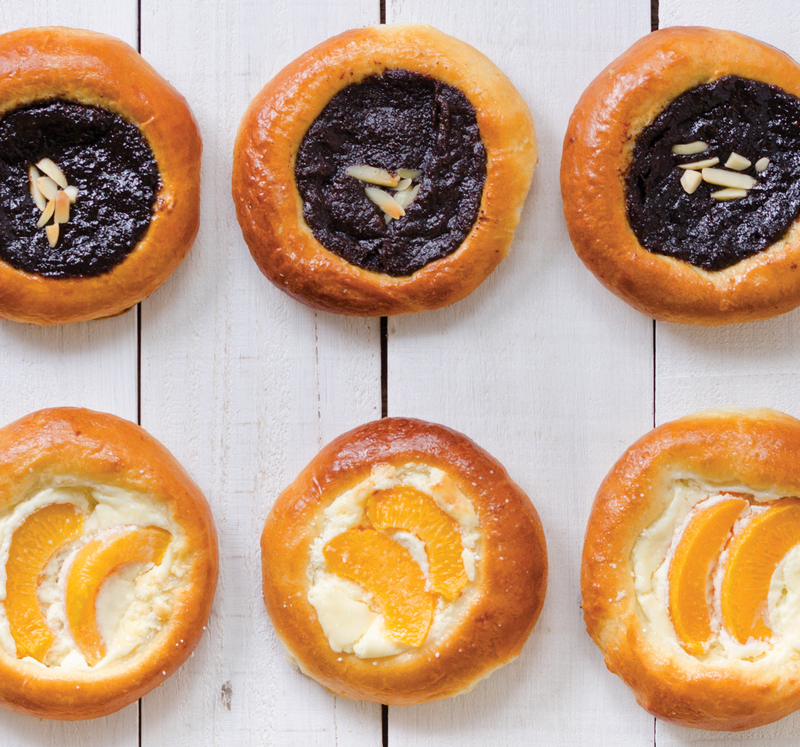 Little Gretel’s three staple kolaches are freshly baked pastry filled with choice of farmer’s cheese and fruit, poppyseed or plum jelly (povidla). Our savory kolaches, “Wurst” and “Wurst Saurkraut” are surprisingly delicious, made with kiolbassa sausage and our homemade saurkraut. Our sweet kolaches are made using delectable toppings like poppy seeds, farmer’s cheese and fruit. Vanilla sugar is one of our favorite ingredient for Little Gretel’s baking. The batter for Little Gretel’s pancakes and waffles are prepared fresh in small batches to insure yumminess! Juicy loin-cut pork, or Veal breaded served three different styles daily. Voted top 50 in TEXAS! Little Gretel – the Most Elegant Lady in Boerne, Texas! Denise was born in Czechoslovakia. She grew up in Prague, at her mother’s side in restaurants. Day by day watching, learning and practicing her mother’s recipes; dreaming of someday owning her own restaurant. Upon Denise’s defection, she worked in the restaurant and hospitality industries in Paris, France and Germany. Upon coming to the U.S. Denise worked in a restaurant in Boulder, Colorado; where she met Jimmy Mazal. They married and moved to Texas. Denise opened Ewe & Eye Toy Shoppe/Needlework (which is now home of our new BAR Salvador DOBBS), still dreaming of owning a restaurant. Her daughter,Veronica, has worked in the restaurant and hospitality industry since 2001. She has a degree in public relations and marketing. Like her Mother, she has always wanted to own her own restaurant. Together, with her mother Denise’s passion for cooking and Veronica’s business acumen, they conceived “Little Gretel”. 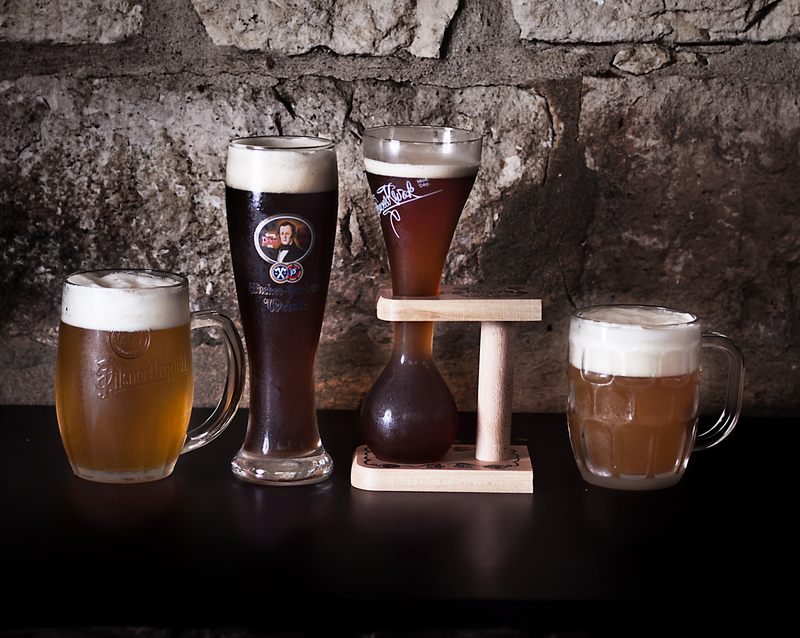 Their passions, ideas and concepts delight us everyday with Czech and German traditional specialties and old world, European “yumminess”. Little Gretel has Gone Wild in Texas! 90 deer, 2130 rabbits, 165 cows, 350 peacocks, 5 135 geese, 5 200 lobsters, 10 209 pike, 4 barrels of caviar, 30 947 eggs, 150 barrels of Hungarian, Austrian, Tyrolian and Spanish wines….and the list goes on. Not that we intend to serve these quantities at one time in Boerne but to inform our patrons of the deep roots of the Bohemian culinary. 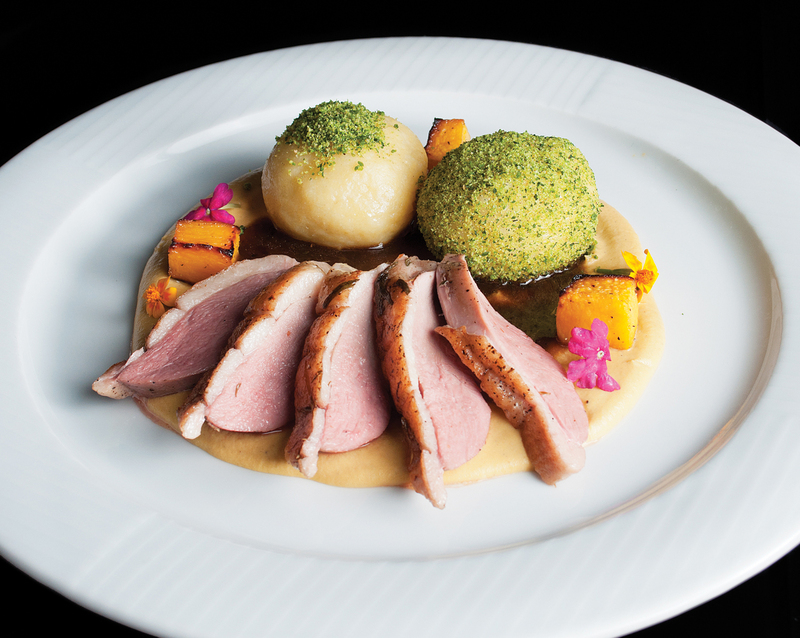 Today, wild game continues to be a favorite dish in the Czech Republic. Chef Denise has been learning from her Czech Chefs (her mentors and Masters in Wild Game), the preparation and cooking of these old world recipes. Over the past 8 years she has traveled to Europe and has had her Czech Chefs visit here and cook in our kitchen every October. 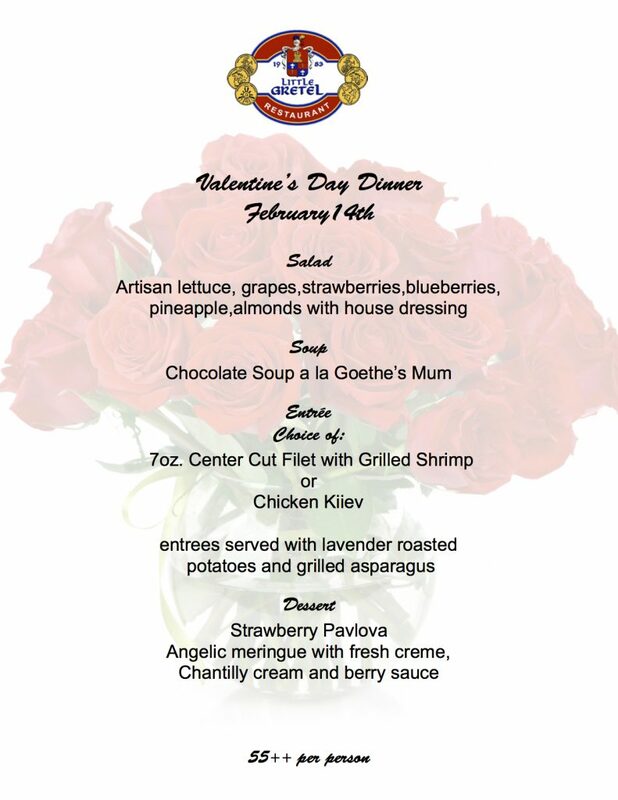 Chef Denise has now brought her traditional recipes to Boerne serving Antelope, Venison, Wild Boar, Rabbit and much more. Our high quality wild game meats are purchased from the Broken Arrow Ranch right here in the Texas Hill Country. These wild game animals are truly wild and free ranging feeding on native grasses, berries and nuts over thousands of acres making them naturally low in fat and calories – there is no safer, more nutritious meat. Little Gretel – Created with love and passion, like the skilled Czech chefs who migrated for years to Vienna with their Czech recipes, Little Gretel has selected the best, well-tested recipes from Chef Denise’s own heritage in the Czech Republic, family owned cookbooks and invaluable experience in family-owned restaurants in Boulder, Colorado. 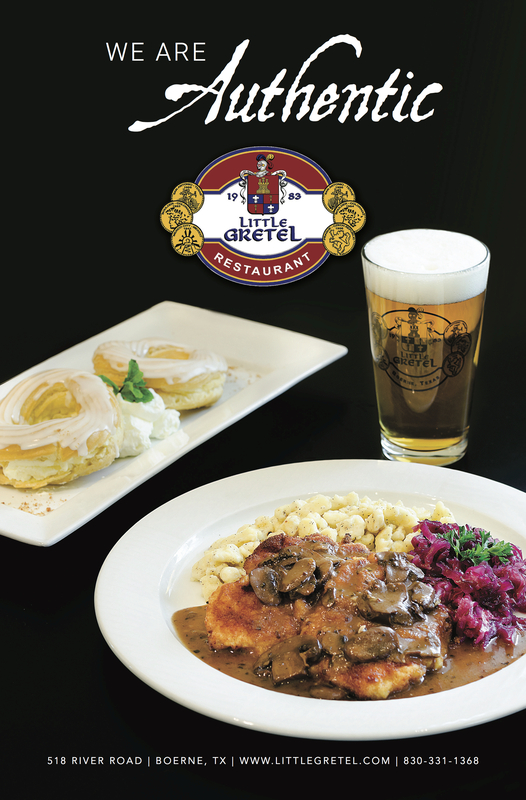 Denise, along with her daughter, Veronica, opened Little Gretel in 2009, using Denise’s mother’s well tested recipes. Her style of cooking is a labor of love, making everything from scratch. Little Gretel’s cooking, mostly European in flavor, is not an easy affair. It takes time and the working methods must to be followed obediently to preserve the rich flavor of our dishes. Sauerbraten, one of our customer’s favorite recipes, for instance, needs a special technique using bacon and then is marinated in its own stock for up to 72 hours. Schnitzels take a special preparation and are not fried in oil or fats. They are magically finished in a healthy fashion using a German made oven. These ovens are special as they cook, steam, roast or bake individual items at the press of a button. It is truly a remarkable oven – one which is slowly making its way into the better kitchens, culinary institutes and schools around the country. We maintain a spotless kitchen throughout the working day and are proud of the cleanliness and care that we use in our cooking utensils. Most of our pots and pans are made of stainless steel from Fisslers in Germany, insuring a high grade of products to cook in. All the dishes at Little Gretel have Denise’s prevalent influence and “Old World” flair. *In order to serve you better, we do not accept reservations on Sundays. Follow us on SOCIAL MEDIA for upcoming events and specials!